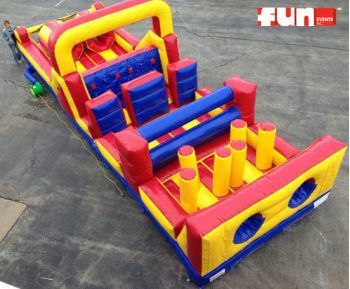 The Sprinter Inflatable Obstacle Course is a fast paced, fun and interactive inflatable party rental. 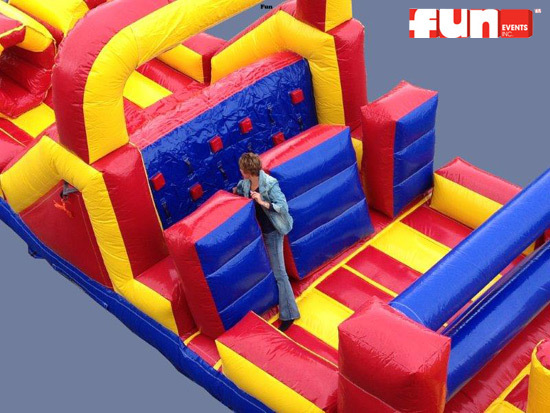 Guests dive through the entrance, go around pillars, under or over barriers, up a rock wall, down a slide, through some tunnels, and then to the finish line. 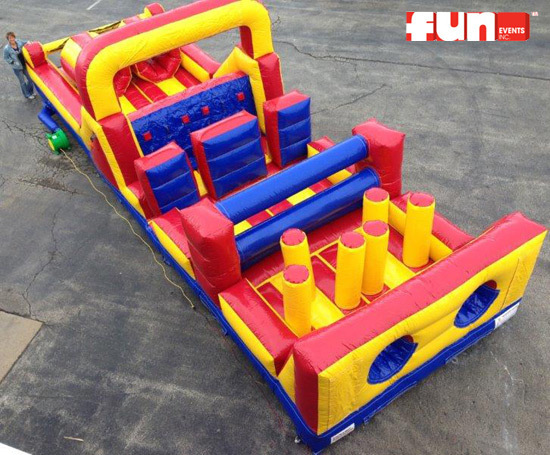 This is a fun obstacle course challenge for racing or just for fun.